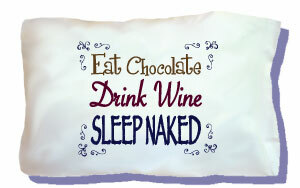 We currently offer Pillowcase ONLY. Pillowcases are 100% Cotton. TODDLERS. Everyone wants their own pillow - especially toddlers. 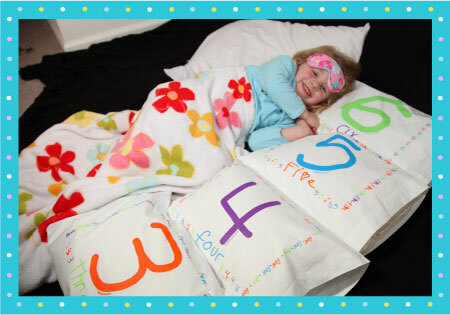 Help ease the transition to a "big bed" with the comforting glow of a cheerful personalized toddler pillowcase. They are also ideal for nap-time at kindergarten or pre-school. TWEENS & TEENS. Give a gift that motivates and empowers the young women in your life with an accent pillow to decorate her bed or help make the dorm room a little more like home. ADULTS. Just because you're "all grown up" doesn't mean you won't like a cozy little pillow! Choose from our inspirational designs for your best "gal pal" or put a little "magic" in your relationship. ON THE ROAD AGAIN. Our travel pillows are ideal for any road trip! Just the right size to make napping in the car more comfortable. Personalization is NOT available on Toddler/Travel size pillowcases EXCEPT the Monogram design.